Taming the laundry beast can be quite a feat! I used to absolutely loathe laundry. I had a mountain staring at me every single day and a huge pile of stained clothing that needed tending to, but I just kept avoiding them. It just seemed like I could never get caught up and it was such a chore. 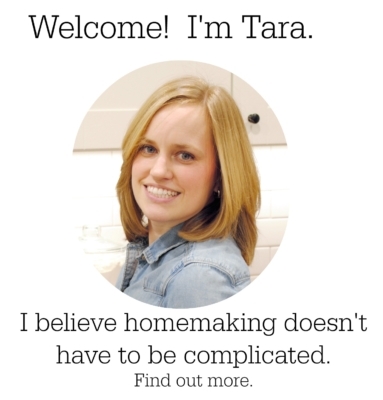 I changed my mindset and my routine, and it really changed laundry duty in my home. Instead of looking at it as your enemy, try looking at it as just an everyday task similar to brushing your teeth or eating. They are both things that we have to do, but I rarely hear people complaining about having to eat. 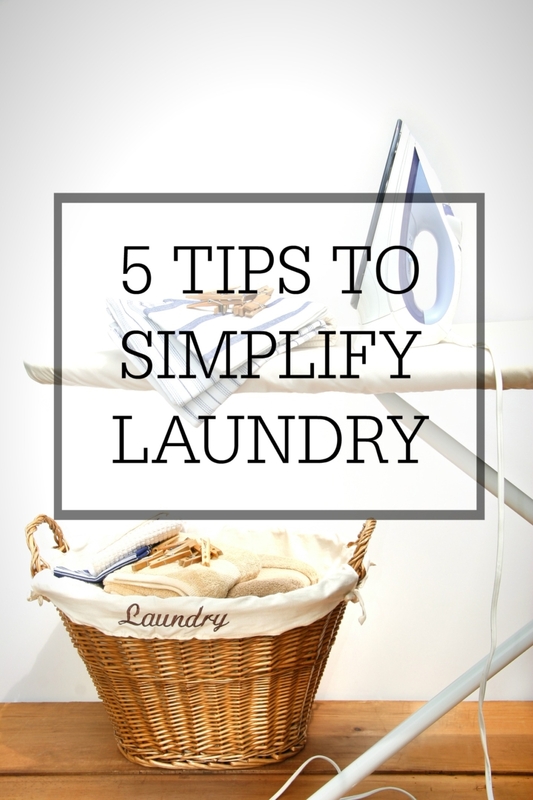 Simplifying your laundry will go a long way to helping you not see it with so much dread. The first tip that will reduce your laundry tremendously is to greatly reduce the amount of clothing that everyone has. The fewer clothes, towels and linens that you have, the less laundry that you will have, simple as that. The more stuff that I purge in my home, the lighter I feel, and the lighter my workload becomes. I love having fewer items to manage. Consider a basic capsule wardrobe. A couple of pairs of jeans, a pair of khakis, a pair of dress pants, a couple of nice skirts/dresses, several mix and match blouses and shirts, and a few versatile accessories can all be mix and matched to form multiple outfits and only require basic clothing items. My second tip is to get in the habit of wearing an article of clothing more than one day, with the exception of underwear. Yuck! Only wash something if it is soiled, smelly, or stretched out. If it’s none of those, then hang it back up instead of throwing it down. Again, less laundry. My third tip is to take care of stains right away. If you spill something on your shirt, treat it right then instead of throwing it down later. If you save it for later, before you know it you have Mt. Everest accumulating in your laundry room of stained clothing. Ask me how I know. I used to be notorious for letting the stained pile grow while I waited for when I had time to get to it. Trust me when I say that you waste more time trying to remove old stains than spending 1-2 minutes spraying the stain and agitating right away. I keep an all purpose stain spray container in my laundry room and on hand at all times to immediately spray on a stain. My fourth tip is to get in the habit of hanging up and putting away your clothing when you take them off. 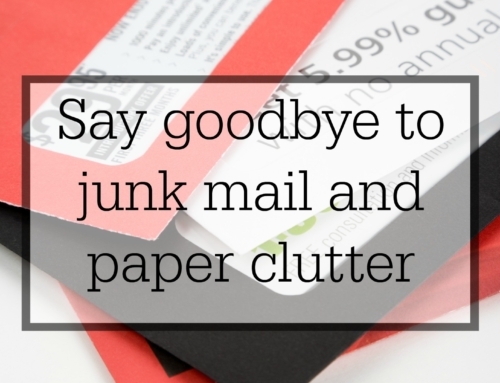 Forget that spot in your bedroom that has become the unofficial clothes bin. Everyone has one of those spots. Clean clothes get piled there, pajama pants that you removed in the morning, or a shirt that you only wore for an hour. 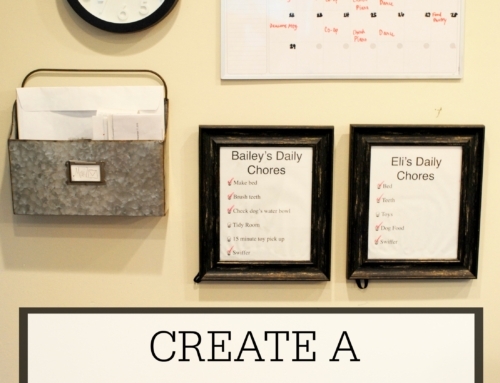 Eliminate that pile by doing the simple work of grabbing a hanger and putting away the one article of clothing right away. 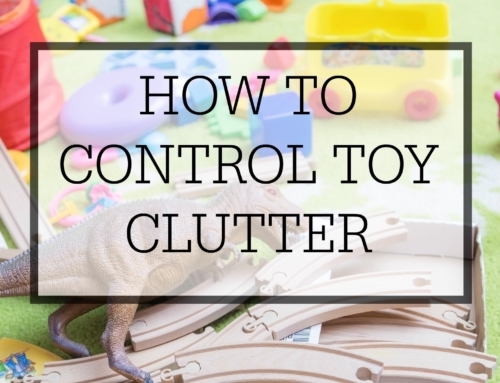 It’s much faster and more efficient than spending 30 minutes clearing the huge pile when you can’t take any more clutter. I would also add to let go of perfectionism on this one. My kids put away their own clothing, which means that most of their clothing just gets thrown in drawers or bins, or hung on hangers if they are hanging shirts or dresses. I do not get particular if their things are perfectly folded and beautiful. As long as they put them away, I’m ok with it. In my opinion, it’s better for them to actually do the task instead of being frozen by perfectionism. This tip in my opinion is the most important. Good habits just make life so much easier. 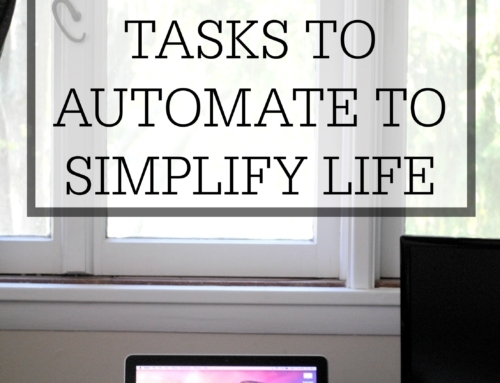 Establish some sort of a realistic laundry routine so that you are basically on autopilot. Everyone has their own preferred method, but here are two that are the most common. This method is what I use in my own home. I like not having piles of laundry throughout the week, so I lean toward this method. It makes me feel less overwhelmed and I have worked it into my natural daily routine. One of the first things I do in the morning is take my basket of clothes out to the laundry room and start a load of wash. At lunch time, I switch the laundry over. After I’m done schooling the kids, I take my laundry basket back to my room, toss it on my bed and watch a tv show or listen to a podcast while I for and sort. Everyone is responsible for putting away their own clothes. I do wash sheets and towels once a week in their own loads because I like to wash them with hot water to sanitize a bit more. We use our towels for several days before washing them so I typically only have 1-2 loads of towels a week. Another method that is quite popular is to have one or two days dedicated to laundry. If you work outside the home, it could be on a Saturday where you could just keep the laundry rolling all day and then at the end, everyone can sort through the piles of clean clothes and take their basket of clean clothing back to their rooms to put away. The benefit to this method is that you only have to deal with laundry once a week. The rest of the week you are off, except for dealing with stained clothing. The draw back is that you have to look at a pile of dirty laundry all week. It can also be difficult to find a large block of time to dedicate to washing clothes. Not everyone has an entire day to fill. Maybe you have ballgames, practices, lessons, or another family activity that you have to tend to on Saturdays. If you are a stay at home parent, then you have a bit more flexibility as to which laundry routine you prefer. Bottom line: choose something that works for you, feels natural to you, and will cause you the least amount of dread. Note: When your children reach an age where they can do their own laundry, I highly recommend that you let them each do their own. 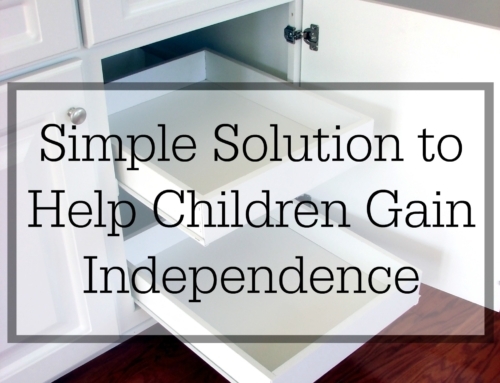 Stick a basket in their room or closet and teach them that when it gets full, they can do a load. Every child needs to know how to do laundry before they leave the home. Even my six year old has learned how to do basic laundry. All it took was for her to help me in the process and she surprised me on her own one day. Sweet, right?